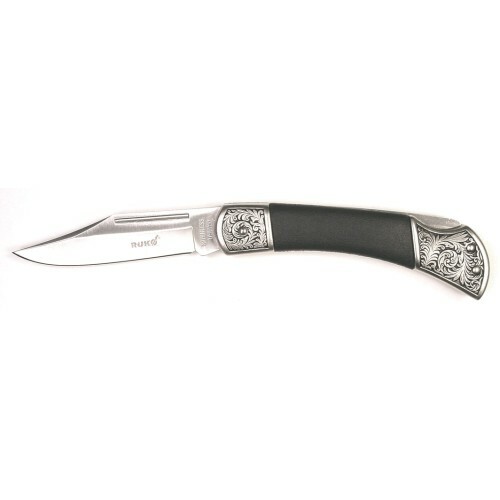 Stainless Steel Handle Folding Knife, Razor Sharp 420J2 Stainless Steel 3-1/2" Clip-Point Blade, Stainless Steel Handle with Decorative Scroll Design on Bolsters, Rubber Handle Scale for a Non-Slip Grip. Secure Lockback Blade Design. Closed Length: 4-1/2"